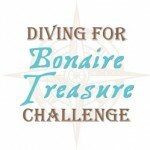 TCB North Amercia | Look who’s coming to Bonaire! TCB South America | DAE flights to Bogota Again! DAE flight to Bogota on website, On June 27th DAE will reopen its service to Bogota, Colombia. 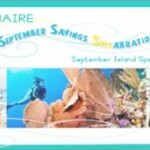 With convenient connections to Bonaire, DAE is promoting two weekly flights with special rates to the tourism and dive trade partners in the market. TCB South America | Insel Air Announces flights to Barranquilla. Insel Air announced that the service to Barranquilla is planned for the latter part 2013. Currently, Insel Air operates twice weekly to Medellin with convenient connections to Bonaire. TCB Europe | Bonaire starts campaign with Blz.